Ethan Hunt has been given an assignment – if he chooses to accept it – that literally could save humanity. It seems the same terrorists who intentionally created and spread a smallpox virus overseas now are trying to purchase three cases of plutonium that they’ll use to make three nuclear bombs. Their mission: destroy the planet and start humanity all over again. It’s like Noah and the flood, but with evil intentions. “There’s never been a peace without great suffering,” one of them says in a manifesto. Hunt’s goal is to obtain the plutonium before the terrorists get it. That sounds easy for a smart guy like Ethan Hunt, but when the wrong person dies and his plan fails, he is forced to make a drastic decision: infiltrate the terrorist network and pretend to be one of the bad guys – a murderous leader named John Lark. Can Hunt fool the terrorists into believing he is Lark … and save the world in time, too? 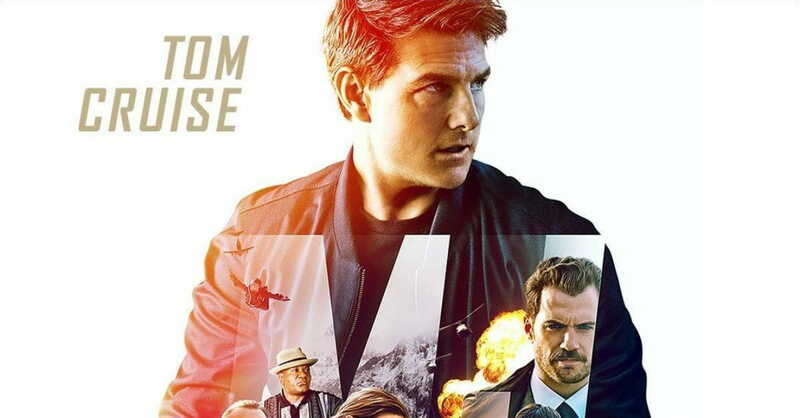 The film Mission: Impossible – Fallout (PG-13) opens this weekend, starring Tom Cruise as Hunt, Simon Pegg as his sidekick Benji, Ving Rhames as his other sidekick Luther, Henry Cavill as CIA assassin August Walker, and Alec Baldwin as government official Alan Hunley. It is the sixth movie in the Mission: Impossible film series that began in 1996 and tells the story of an agent (Hunt) who works for a U.S. government crime-fighting body, the Impossible Missions Force (IMF). 1. It has tons of violence. 2. It has a moderate amount of coarse language. 3. It contains no sexuality. But honestly, there’s no time for it. Hunt is chasing terrorists the entire movie. The film contains one brief kiss, and nothing more. 4. It is a summer thrill-ride. Fallout is like most other Mission: Impossible films – a two-hour-plus chase scene interrupted by a pretty good plot. Hunt and his companions are either chasing or being chased through city streets. (First Paris, and then London.) He rides a motorcycle down an alley, down a one-way street (the wrong way), and through a crowd. He runs through a funeral (he apologizes), a corporate office (jumping out of a window) and on top of a London landmark. He escapes (and gets the bad guy) when all hope seems lost. Of course, you already knew that. 5. It upholds the value of life. Ethan Hunt would be a good subject for an ethics class. Given a choice between rescuing one person and saving a million lives, he’ll try his darndest to do both. Early in the film, it gets him in trouble. But later in the movie, his life-affirming ethic wins a few fans. His desire never to see an innocent person or a friend die is a major theme. As one person in the movie says, the world needs people “who care about the one life as much as they care about the millions.” For families who watch the film, it’s worth discussing. 6. It has an interesting marriage angle. Spoiler ahead! We learn that Ethan and his wife separated with the sole purpose of keeping her alive. That is, they separated and she went into hiding so the terrorists wouldn’t find and kill her. Later in the movie, Ethan bumps into her – and her new husband. Yes, even for a Mission: Impossible movie. During one stretch, they packed more into a 15-minute timeframe – trying to defuse a bomb -- than is possible for an entire day. But I’m not complaining too much. It was fun to watch.